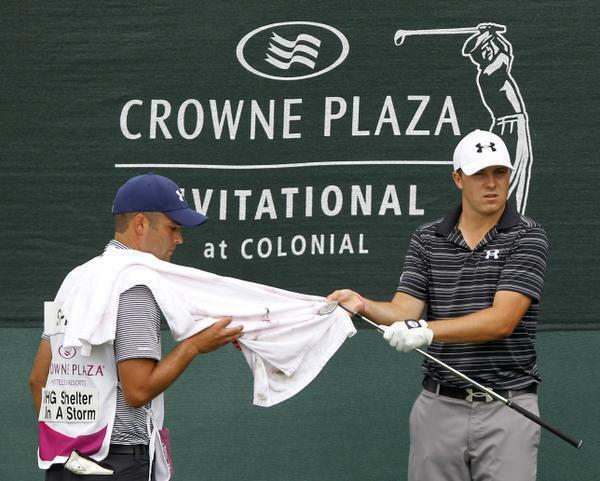 Caddie, towel, Jordan Spieth, May, 2013. 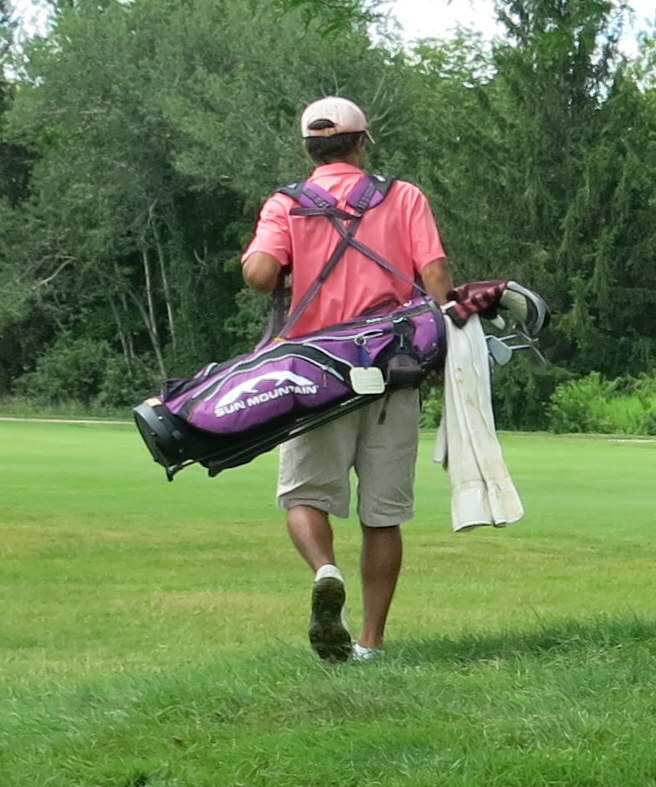 Ten or fifteen years ago, I noticed that good golfers (or their caddies) often carry a bath-size white towel, which they drape over the top of their bag (or their neck), and carry onto the green with their putter. 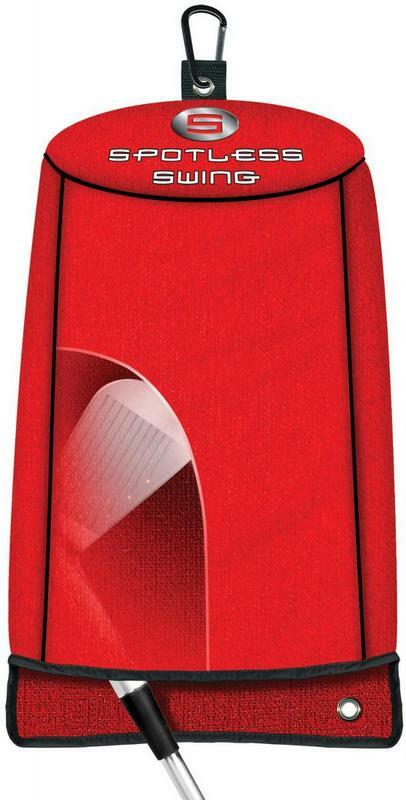 Conversely, bad golfers often carry a small, neatly folded, souvenir-type golf towel tucked into their belt. I didn’t want to look like a bad golfer, so I snuck a white bath towel out of our linen closet and draped it over the top of my bag. Every three or four holes, someone in another group would holler, “Hey, did one of you drop a towel?” After a couple of rounds, I gave up, and went back to using a normal, souvenir-type golf towel, although I clipped it to my bag rather than tucking it into my belt. Addison, 2013 Connecticut Open, Torrington Country Club. At the P.G.A. Golf Merchandise Show a couple of years ago, I met some guys from Colorado who sell a golf towel called Spotless Swing. I talked them into giving me one, and I like it so much that, recently, I talked them into giving me another. Both of them are now attached to my bag, one red and one black, and because I have two I don’t have to waste a lot groping around when I feel like cleaning my clubs—which, to be perfectly honest, isn’t as often as it should be. 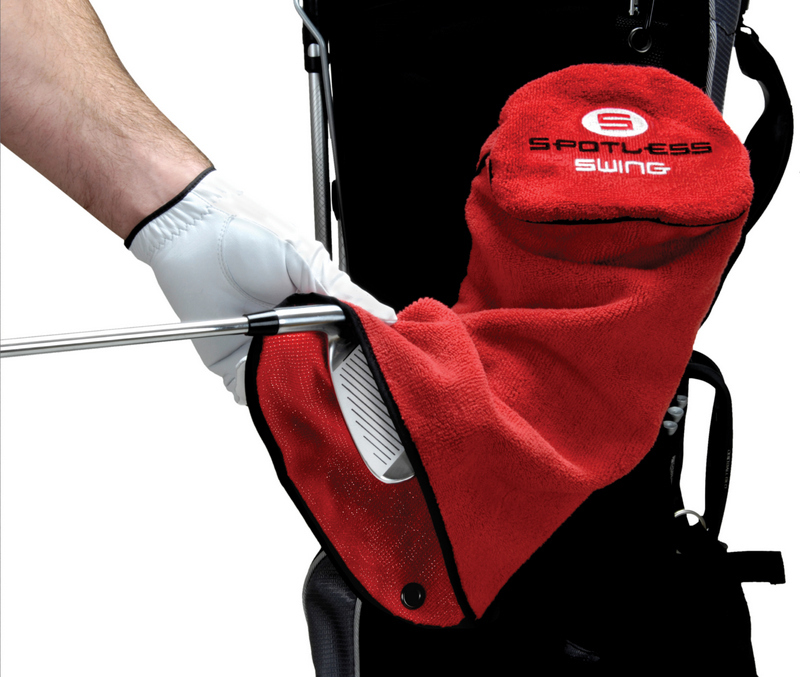 A Spotless Swing towel has two features I like a lot. The first is that it’s constructed sort of like a fez. You stuck a clubhead inside it to clean it or dry it, and that protects your hand from whatever you’re trying to remove. The second is that part of the inside is made of a coarse plastic material, which is almost as good as a wire brush at getting crud out of your grooves. Don’t tuck it into your belt, though. It comes with a little carabiner, which you can use to clip it to your bag. 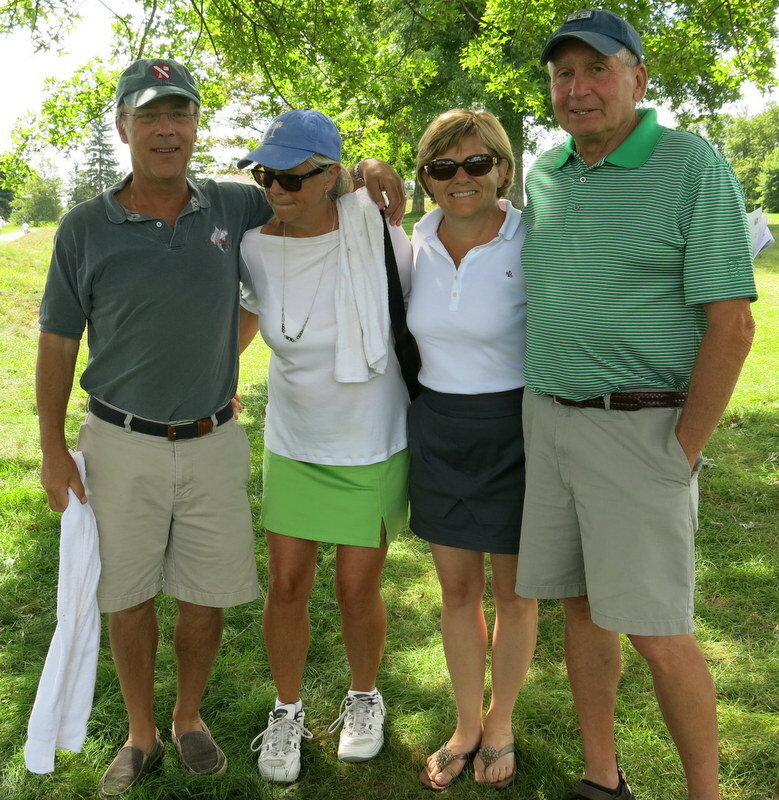 Reese and Vi (Addison’s parents, with supplemental towels), Denise, Hacker (real name), in Addison’s gallery at the 2013 Connecticut Open. This entry was posted in Hacker (real name), What's In My Bag by David Owen. Bookmark the permalink. FYI. You have a picture labeled JJ Henry, but it sure looks like Jordan Spieth to me. You’re absolutely right. Now corrected. Thank you!